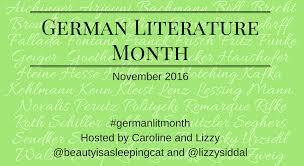 Though Friedrich Glauser is described as the ‘Swiss Simenon,’ his life most resembles that of German writer Hans Fallada: an opium and morphine addict, he spent much of his time either in jail or insane asylums, though he did manage to fit in two years in the Foreign Legion. Thumbprint is the first of his Sergeant Studer novels, all five of which have been translated into English by Mike Mitchell and published by Bitter Lemon Press (Glauser died at the age of forty-two and therefore certainly did not match Simenon for productivity) Even in this first novel, Studer is old for his rank having lost his position in another force for what are hinted to be political reasons, creating an impression he is both a maverick and incorruptible. Studer decides (of course) to follow his gut feeling that “there was something not quite right about the whole business” and persuades the examining magistrate on the case to allow him to investigate further. Once in Gerzenstein, the case appears more open than shut, with a steady procession of suspicious characters parading in front of Studer: Witschi’s daughter, Sonja, who was also Schlumpf’s fiancée; his son, Armin, generally to be found in a local bar flirting with the waitress; Schlumpf’s boss, Ellenberger, who habitually employs ex-cons (thus, at a stroke, creating even more suspects); and Aeschbacher, the mayor, and Witschi’s brother-in-law. Witschi, naturally, has money troubles, but suicide is ruled out by the absence of powder burns and the angle of the wound – at least at first. A gun and bullet cases are found – but not in the same place, and pointing towards entirely different theories as to why Witschi died. Yet even a visit to a doctor simply provides him with an opportunity to use his microscope to examine evidence. 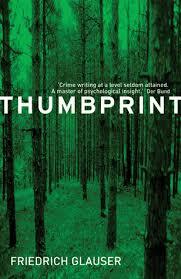 Thumbprint is an excellent crime novel, one I can’t imagine any connoisseur of the genre being disappointed in. My only disappointment is that there are no more than four others to look forward to. You are currently browsing the archives for the Friedrich Glauser category.